Airwheel Electric Self-balancing Scooter Q1 as cute as cool. 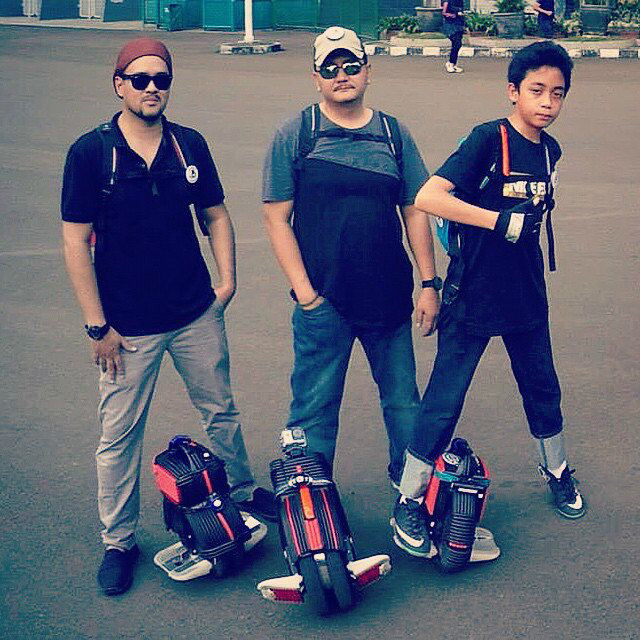 In the present market, there is a great number of scooter-makers and an assortment of electric self-balancing scooters. Those electric self-balancing scooters on the whole falls into triple model: the single-wheeled scooter, twin-wheeled scooter and the handlebar-equipped scooter. No standing board is amounted on the former two, but they are fitted with pedals. The last one, also called intelligent self-balancing scooter, comes with a piece of standing board. It scoots through the control of handlebars and gravity. The most famous intelligent self-balancing scooter, named S3, was launched by Airwheel. Out of the curiosity and fun, I have experienced riding of all above models. Take Airwheel electric self-balancing scooters for example. The easiest model is S3-anyone can steer it smoothly immediately he stands on it. The most formidable challenge is to steer Airwheel unicycles of X-series, but it can bring riders a thrilling experience of riding. The x-series more befits tyros and common users. This model integrates the merits of X-series and S-series, thereby as stable as stylish. Next：Airwheel electric self-balancing scooters appeared in Universiti Kuala Lumpur Open Day.